Sen. 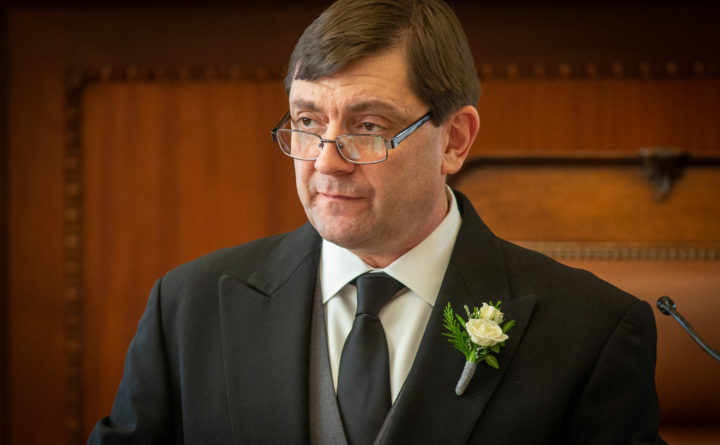 Troy Jackson, D-Allagash, runs business in the Maine Senate in Augusta in this Dec. 5, 2018, file photo. Maine Democratic leaders announced Monday that the first bill of the legislative session in 2019 would codify patient protections under the Affordable Care Act into state law. Senate President Troy Jackson says LD 1 would require insurance companies to cover essential health benefits and patients with pre-existing conditions. It would also allow children to stay on their parents’ insurance until age 26. Jackson sponsored similar legislation in 2018 that was vetoed by Gov. Paul LePage, but with Democrats holding a majority in the House and Senate, Jackson is optimistic this bill will pass. “I think we just have the numbers to do it because these past couple of elections have shown that people don’t want less health care, they want more,” Jackson said. The bill is in response to a court ruling in Texas that found the Affordable Care Act unconstitutional. “We’re gonna work hard to not let ’em roll em back and actually push forward to give better health insurance,” Jackson said. The ACA is still in effect while the case is being appealed.